Powered by Konami’s Fox Engine, Pro Evolution Soccer 2017 features authentic and immersive first-touch ball control, a more precise passing system, highly adaptive A.I., improved goal tending, and the ability to set up strategies before kickoff—Konami has literally left nothing untouched. 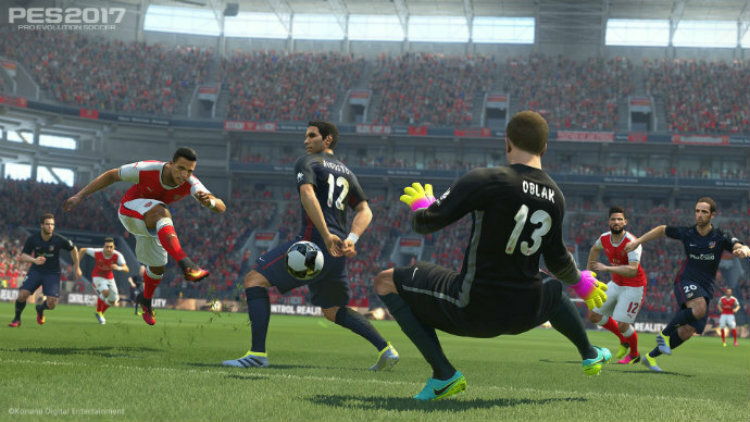 The PES franchise is a multi-award winning series that has seen many improvements in the recent years. Each year you can pretty much guarantee that your favourite sports title will come out with an updated version of the game. For the most part, these are just incremental updates that do not push the envelope in evolving the game. 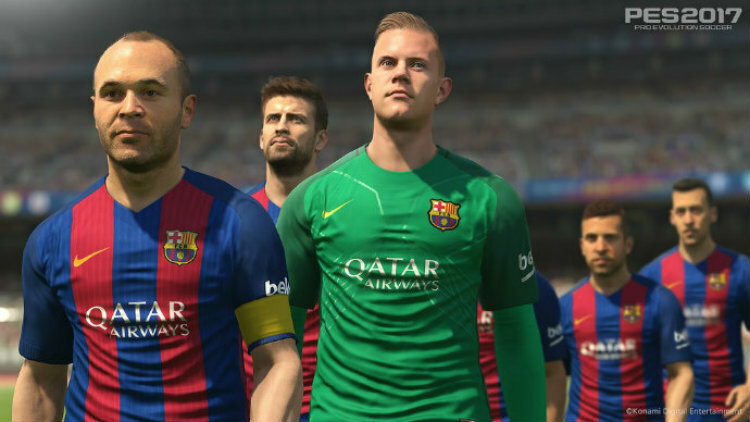 However this year is different, Pro Evolution Soccer 2017 includes some of the most fundamental gameplay changes in franchise history that leave other soccer games in the dust. The team at Konami have put their focus on Pro Evolution Soccer 2017 with the goal of providing a complete immersion of the soccer experience for gamers. To do this they concentrated on game presentation and interactive, tactical elements of the game. In by doing this, they have allowed gamers to play quite possibly the most realistic soccer video game ever. One of the most important elements in any soccer game lies in its 1st touch control. The team at Konami have changed the way in how Pro Evolution Soccer 2017 handles this; the player attributes along with the real ball physics are directly related. I was amazed to see how each player controlled the soccer ball differently, and how he or she reacted to the sometimes-unpredictable movement of the soccer ball itself. When playing Pro Evolution Soccer 2017 for the first time, one of the things I noticed right away was its improved controls, especially when it came to passing and goaltending. The camera is set at such an angle that you always have a good view, crucial when spotting players to pass to, or to know where the net is in relation to your character at all times. Without a doubt, Pro Evolution Soccer 2017 features some of the most agile goaltenders I have ever seen. They instantly react to shots including a fast follow up, springing into action after landing—it is simply amazing to see just how awesome they are. My AI teammates responded well to my actions, and what is neat this year is animations are different based on the skill of the player. If you pass the ball to a more advanced player, they can connect with the ball faster and take action faster. The more I played Pro Evolution Soccer 2017, the more I discovered that my teammates and opponents adapted to the way I played. For example, I often passed the soccer ball to one of my star players, sure enough, my opponents eventually caught on to this and started to double up on him and mark him heavily. This adaptive AI really gives you the impression that you are playing with real life soccer professionals. 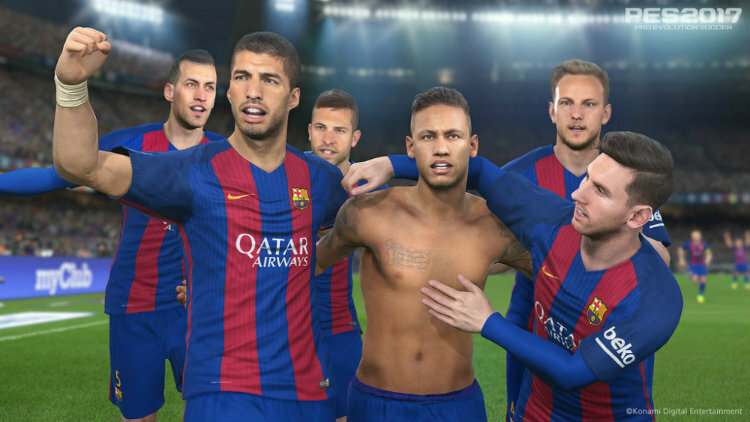 In addition to the many gameplay enhancements contained in Pro Evolution Soccer 2017, Konami has added quite a bit of new features. Although there are too many to list here, I will touch upon a few key ones that standout. myClub has seen some new features added, you can now get the Scouts you need to sign a player through the auction house, and if you sign the right Scout with their speciality areas covering your potential star, signing them on is a lot more likely. The Master League has seen quite a bit of enhancements, significant changes have been made to the transfer system. There are new dedicated budgets for transfer funds and player wages, and there is more variety in negotiations such as getting a player on a six-month loan with the potential to sign them during the loan period. Last year’s Team role now has 22 roles compared to 10, with added roles such as Hero and Bad Boy. The Training system has been improved, and now players can learn skills and establish their particular play style through Training. There is a new data-sourcing tool inside Pro Evolution Soccer 2017 called Versus Match Analysis. This is a very handy tool as it provides you with a lot of data based on how you play as well as your friends. This mode tracks just about everything from games won, lost, drawn to goals scored and conceded. You’ll quickly be able to see your playing style, whether it’s a possession game, long ball, or counter-attack. Additionally, you can even see your upcoming opponent’s stats to allow you to plan your strategies. Pro Evolution Soccer 2017 is powered by the Fox Engine, the cutscenes and goal animations look extremely natural and realistic. If your player gets a yellow card, they will express frustration at the referee's decision, and may even be joined by fellow teammates to argue the call. The game runs quite well, and the frame rate is always smooth. Pro Evolution Soccer 2017’s menus have been upgraded to provide a cleaner more streamlined look, and are much easier to navigate than last year’s release. Jim Beglin and Peter Drury, who provide top-notch commentary, make their return to Pro Evolution Soccer 2017. Occasionally I noticed several phrases being repeated, but it did not really deter from the hyper-realistic soccer experience that Pro Evolution Soccer 2017 provides. 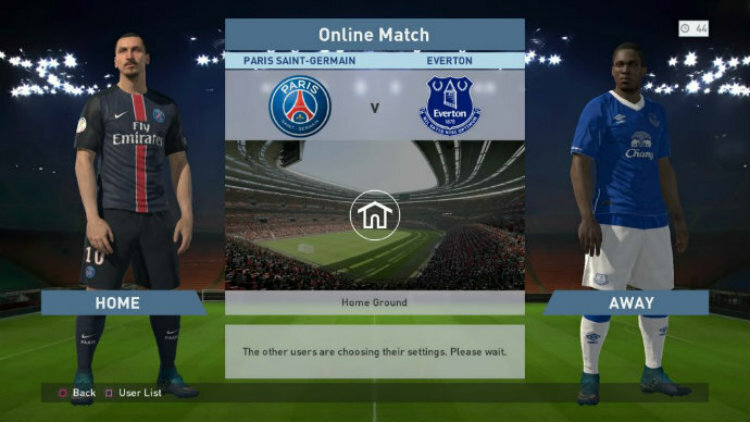 If there was one quibble, I had with PES 2016 it would have to be its online play. While it is noticeable that Konami put in considerable effort to improve the online experience over Pro Evolution Soccer 2016, I still suffered input delay in about 25% of the matches I played. This lag causes a jarring and frustrating experience, which is a stark contrast to the amazing offline game experience. Connection ratings range from one to five stars; you do have the option to search for games with a higher connection rating, which does alleviate quite a bit of the frustration. Matchmaking takes at least 2-3 minutes to find an opponent, and that is even after I have widened the parameters to accommodate a great range of skill and courtesy levels. Sadly, Konami has implemented region locking, which means you will not be able to play with any friends in the UK, for example. Pro Evolution Soccer 2017 offers the best game of soccer I have ever experienced, offline. 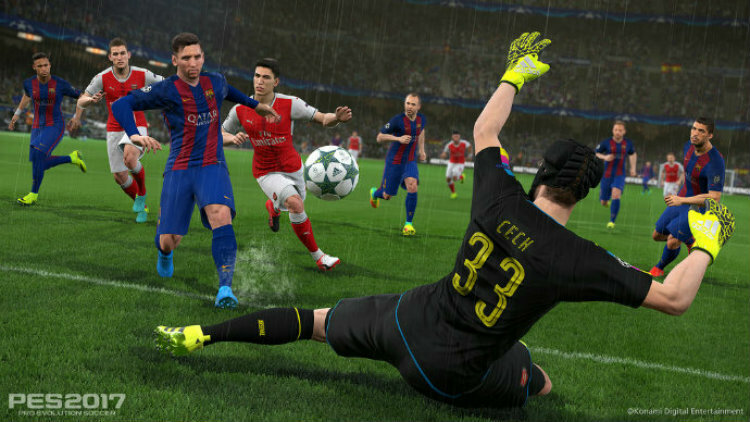 With improved controls, some of the most agile goaltenders I have ever seen, and AI that adapts to the way you play— Pro Evolution Soccer 2017 is a soccer fan’s dream come true. 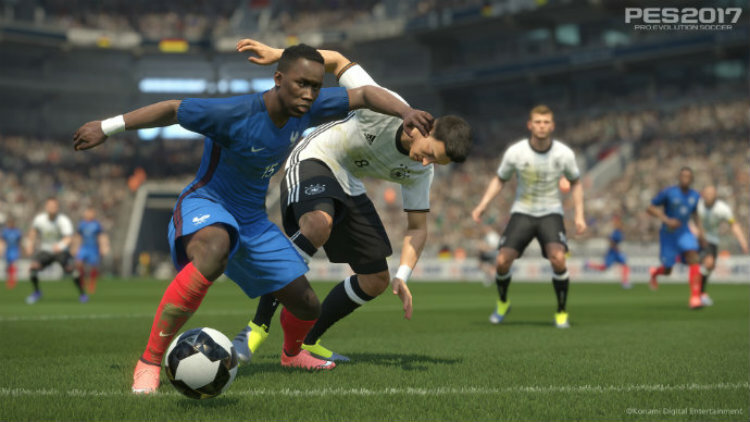 With a plethora of new features, and superb enhancements— Pro Evolution Soccer 2017 is a true evolution over last year’s game. Konami is committed to providing the most accurate soccer experience, as seen by an update that has already been released for the game. This download updates all the rosters and teams to include all signing made during the most recent transfer window. Although the netcode in Pro Evolution Soccer 2017 is not perfect, it is a vast improvement over last year’s game.